Everest Review Plugin is the simple utility plugin for you to display reviews for your posts, pages, and various custom post types faster and simpler. – 5 different beautiful and sleek theme design to choose from. – You can define each individual review to display/hide in particular pages. Just go to individual page edit section and there, you can see option to choose review setting that will either set default value from “General Setting” section of custom indivual page wise configuration. – If the pre-available templates don’t work good for you, you can customize via setting to match your site need or the way you want. – You can filter the user reviews and paginate the user reviews as you wish with simple ajax load more just by setting few settings in backend. -You can define to review to be displayed either above or below the content and you can also define shortcode to display in either position around the page/post content. 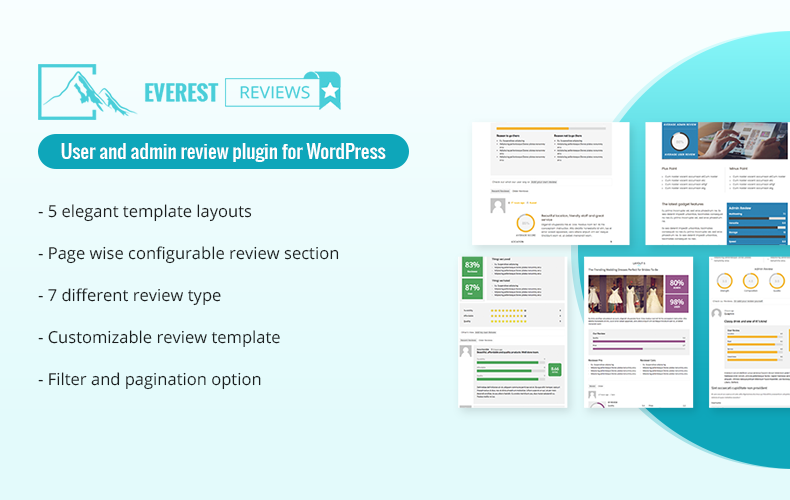 Hey Buddy!, I found this information for you: "User and admin review plugin for WordPress – Everest Review". Here is the website link: https://access-keys.com/wordpress-plugins/everest-review/. Thank you.